Thank you for your interest in volunteering for Cat Rescue Network (CRN) as a foster parent for a rescued animal. Providing a foster home can literally be the difference between life and death for the cat. Your role as a foster parent is vital to our success – as we do not have a facility, without foster parents, we would not be able to take in animals that need our help! We hear about so many kittens and cats struggling to survive that need foster care. With our limited number of foster parents, we can't take them all in. 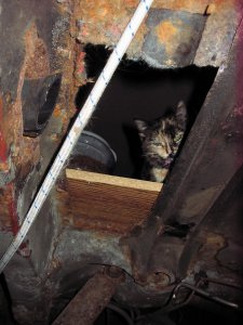 Foster parents nurture, treat and coax life back into traumatized cats. They provide animals who have lost all hope with the will to live. 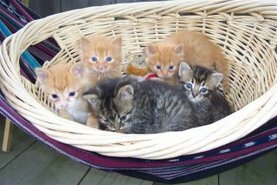 A foster parent provides a temporary home and care for a cat or kitten in need. Foster parents help prepare rescued cats/kittens for adoption by offering them a safe place to receive the love, medical attention and social interaction they require before they are ready for adoption. CRN foster volunteers find the experience of nurturing a rescued animal and helping it blossom into a confident, adoptable pet to be extremely rewarding and enjoyable. What will I need to become a foster parent? - need a quiet room to isolate the cat/kitten for about 10 days. This isolation period allows for the de-worming and de-fleaing medication to take effect. It also allows CRN to determine the general health of the cat and treat for any illnesses before, if applicable, your permanent animals are exposed to your new foster animal. - be responsible for daily expenses such as food, blankets, toys, bowls, litter etc. CRN sometimes receives donations of these items and will provide them to foster parents when available. - require time to care for the animal while it is in your care. It is best if you have a vehicle to transport your animal to vet appointments. If you do not, we will try to arrange for a volunteer driver. Q: I know that veterinary care can be expensive. Who pays for foster animals’ medical care and medications? A: CRN will pay for all medical expenses for the cat/kitten through our network of veterinarians. Q: If CRN does not have a facility, how do potential adopters meet the foster animals? A: Potential adopters are directed to call the head of CRN and they will be put in contact with foster parents to organize a home visit. Q: Where do people go to find out that a foster animal is available for adoption? Q: What if I don’t think the adopters that visit my foster animal would provide them with the best home? A: CRN understands that foster parents play an integral role in nurturing their foster animals and would know what home would suit their foster animal better than anyone else. Because of this, CRN foster parents are permitted to reject an offer of adoption when they feel it’s necessary. Q: How long would a foster animal remain in my home? 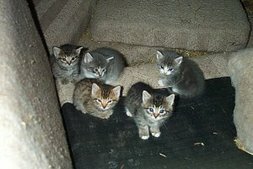 A: All foster cats/kittens remain in foster care until they are adopted. The time period for fostering varies for every animal. The fostering period for pregnant mothers and newborn kittens may be longer than for other fosters (adult cats). Rescued cats usually remain in one foster home until they get adopted. We would love to have you join our team of fosters!